There is no question that the Trump Administration will make significant changes to the federal grant landscape. In fact, between the announcement of grant freezes and the appointment of Rep. Mick Mulvaney as new head of the Office of Budget and Management, change is already underway. To protect your organization and its funding, it’s critical to know as much as you can—as quickly as you can. Start with understanding where federal grants stand now and what responsibilities, risks and liabilities you’ll have to navigate under intense new federal scrutiny. You also need real-life guidance on how to avoid mistakes, misconduct and unwitting fraud. Here’s your starting point for covering all those bases. Register now for The State of Federal Grants in 2017: A Look at Federal Grants Under the Trump Administration. In this 90-minute webinar, three federal grants experts from Wiley Rein will examine where things stand now, and what’s likely ahead as Mick Mulvaney ushers in a new era at the Office of Management and Budget. From grant freezes to how recent court cases and enforcement actions, you’ll get up-to-date perspective on how grant-related policies—and risks—may change under the Trump Administration. Prepare for increased scrutiny. This webinar provides vital early-warning intelligence on how to avoid all-new areas of risk that could lead to lengthy (and costly) government audits, investigation and litigation. Plus, you’ll have the chance to ask your own questions during the Q&A portion of the webinar. Remember, freezes are just the start of the new scrutiny—and liability—federal grantee could face. Don’t miss this opportunity to get the insights you need to protect yourself now as you prepare for what’s ahead. Brian counsels and represents government contractors and subcontractors, as well as federal and state grant recipients, on a broad range of government contracts matters, including contract claims and disputes, teaming and subcontracting issues, data rights and intellectual property issues, government investigations and audits, and compliance with ethics and procurement integrity laws. He further represents clients in bid protests before the Government Accountability Office (GAO) and the U.S. Court of Federal Claims (COFC) and has litigated hundreds of protests at these forums. 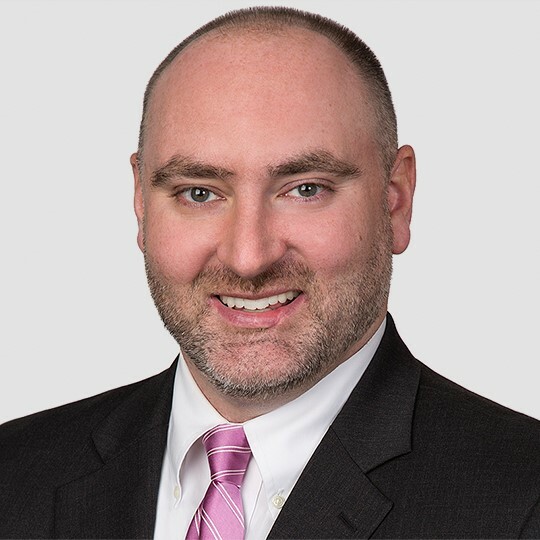 Brian also actively participates in Wiley Rein’s pro bono program and has assisted clients in achieving successful results in a variety of different areas, including parole hearings, divorce and custody matters, and landlord-tenant disputes. Further, Brian is an active member of the firm’s Diversity Committee. Tara Ward is an associate at Wiley Rein where she counsels and represents government contractors and subcontractors, as well as federal and state grant recipients, on a broad range of government contracting issues, including bid protests, contract claims and disputes, cost allowability issues, multiple award schedule contracting, subcontracting issues, and compliance with government investigations, audits, and ethics and procurement integrity laws. She regularly prosecutes and defends bid protests before the Government Accountability Office (GAO), the Court of Federal Claims (COFC), federal government agencies, and state and local administrative entities. Tara has also represented numerous government contractors in disputes with the federal government, including claims under the Contract Disputes Act (CDA) and appeals of contracting officer final decisions to the Armed Services Board of Contract Appeals (ASBCA) and the Civilian Board of Contract Appeals (CBCA). 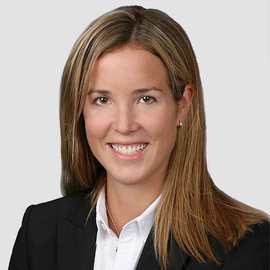 Kendra Norwood is an associate at Wiley Rein where she counsels and represents large and small government contractors, subcontractors, and grant recipients on a range of legal issues. She has handled bid protests before several federal government agencies, as well as the U.S. Government Accountability Office (GAO), the U.S. Court of Federal Claims (COFC), and the U.S. Court of Appeals for the Federal Circuit (CAFC). 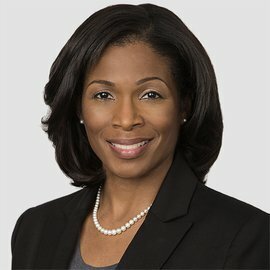 Kendra has also represented clients in size protests before the U.S. Small Business Administration (SBA), and has litigated Contract Disputes Act (CDA) claims before the Armed Services Board of Contract Appeals (ASBCA) and in federal district court. She has represented government contractors in Freedom of Information Act (FOIA) disputes, False Claims Act (FCA) matters, and government investigations involving procurement integrity, ethics, and conflict of interest statutes. Kendra also regularly counsels clients on compliance with various procurement laws and regulations. Prior to entering private practice, Kendra spent more than 10 years at the National Aeronautics and Space Administration (NASA), working in the areas of budget and procurement, legislative affairs, and grant portfolio management. With standing orders we automatically invoice your directory order each year. You will also receive a 10% discount off your order. Select to add to your shopping cart. Finally! A practical guide to grants management. Add A Practical Guide to Federal Grants Management - From Solicitation Through Audit, 2nd Edition to your order! This comprehensive resource blends age-old conventional wisdom with the historic changes in OMB’s uniform guidance. You'll benefit from the advice of experts on time and effort reporting, procurement under grants, direct charging certain costs, single audit preparations, subrecipient monitoring and much more. The 500+ page softbound book is a valuable management guide, compliance document and training tool for busy grants managers, program directors, financial officers and auditors at nonprofit organizations, educational institutions, and state and local governments. 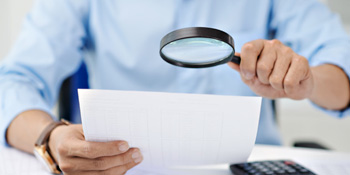 Understand what is meant by audit "resolution"
Take Your Audit Preparations One Step Further. Audit Strategies for Auditors and Auditees eLearning Course today! From identifying where the most common findings arise, to ways to troubleshoot your own documentation and reporting, you’ll “graduate” from this course ready to make sure you have the right processes in place—and that they’re being followed. Course to your cart for only $299! Additional users are available for $99 each. Get the specialized information that institutions of higher education need to help limit your risk of disallowed costs and avoid the loss of federal funding and public relations nightmares. Get the Guide to Managing Federal Grants for Colleges and Universities for only $49 a month! 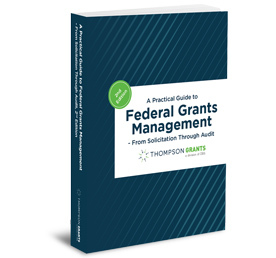 Thompson Grants’ Guide to Managing Federal Grants for Colleges and Universities is designed to help those responsible for federal fund management on campus perform effectively during one of the most challenging periods ever for the field of grants management. Get the U.S. Department of Education Compliance Directory and benefit from a comprehensive guide to winning and managing awards from the Department of Education. 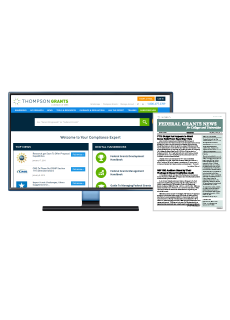 Thompson Grants’ U.S. Department of Education Compliance Directory is a specialized desktop guide that will help you understand the specific grant regulations that govern the acquisition and management of federal funds from the Department of Education (ED). 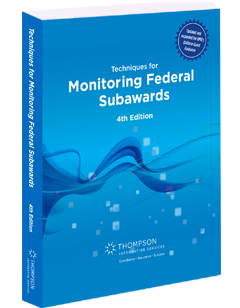 Techniques for Monitoring Federal Subawards is a no-nonsense guide to understanding increased responsibilities under the uniform guidance for pass-through entities, subrecipients and contractors alike. Add it to your order today! Add the digital version of the Federal Grants Development Handbook to your order and get all of these additional features for only $16 more a month! The Federal Grants Development Handbook in print, along with quarterly updates to the handbook and a monthly print news service. Practical Tools and Resources including government forms and reports, useful links, templates, worksheets and tools, a ready-to-use sample audit checklist and more! One Centralized Location for All Relevant Guidance and Regulations – say goodbye to hopping from site to site trying to find the information you need! Add the digital version of the Federal Grants Management Handbook to your order and get all of these additional features for only $16 more a month! The Federal Grants Management Handbook in print, along with quarterly updates to the handbook and a monthly print news service. Add the digital version of the Single Audit Information Service to your order and get all of these additional features for only $16 more a month! The Single Audit Information Service in print, along with quarterly updates to the handbook and a monthly print news service. Writing effective grant proposals is only the first step to a successful pre-award stage of the grants lifecycle. 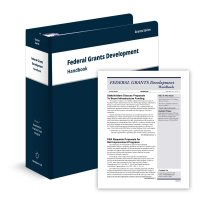 Subscribe to the Federal Grants Development Handbook and get one comprehensive resource to help you find federal funding, develop competitive proposals and take the steps needed to stay in compliance with the complicated rules that govern federal dollars. Add this all-in-one guide to the pre-award stage of the grants lifecycle at a low cost of $54 per month for a one year subscription. The Relationship Between Proposal Writing, Compliance and Performance! Help your entire team learn proposal-writing basics with the OnDemanding recording of Thompson Grants’ most popular pre-award webinar: The Relationship Between Proposal Writing, Compliance and Performance! Learn to align what you write with OMB’s pre-award guidance on everything from measurable objectives to outcomes. You will know how to spot potential trouble spots before you submit your proposal. You will also know the best ways to address performance, risks and remedies. Plus, you will have the chance to ask your own questions during the Q&A portion of the webinar. 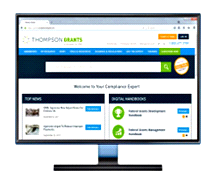 Add the Grants Webinar Training Pass to your Compliance Expert subscription and SAVE 50%! Reserve your seat at 36+ live CPE accredited webinars that will keep you fully informed on federal grants compliance for only $998 per year – that’s less than $23 per webinar. A subscription will let you reserve seats at all Thompson Grants’ live webinars as they air and maximize your opportunities to earn CPE and GPCI CEU credits. Copyright © 2019 Thompson Grants, a division of CBIS. All rights reserved.